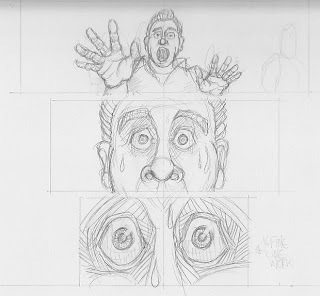 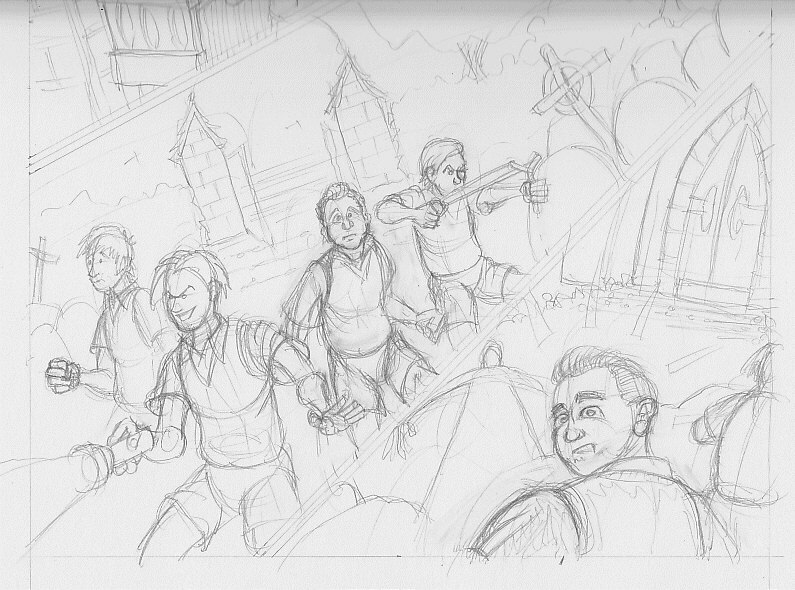 I've just finished pencilling page twelve of a hefty-and-rather-ominous-sounding twenty one, of my BICS comic / project. 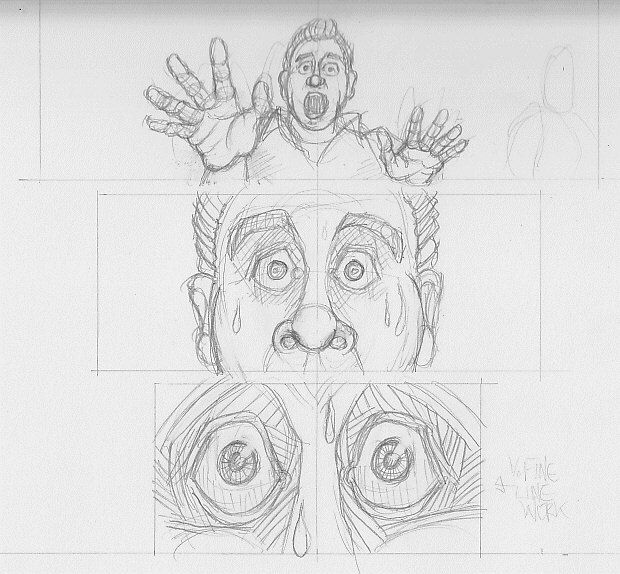 Behold ye a couple of snippets for folk to take a peep at. Really cool stuff, love the 'ghostbusting' panel below.